The Hot Seattle Eastside Real Estate Market Helped to Warm Up Our Chilly November! 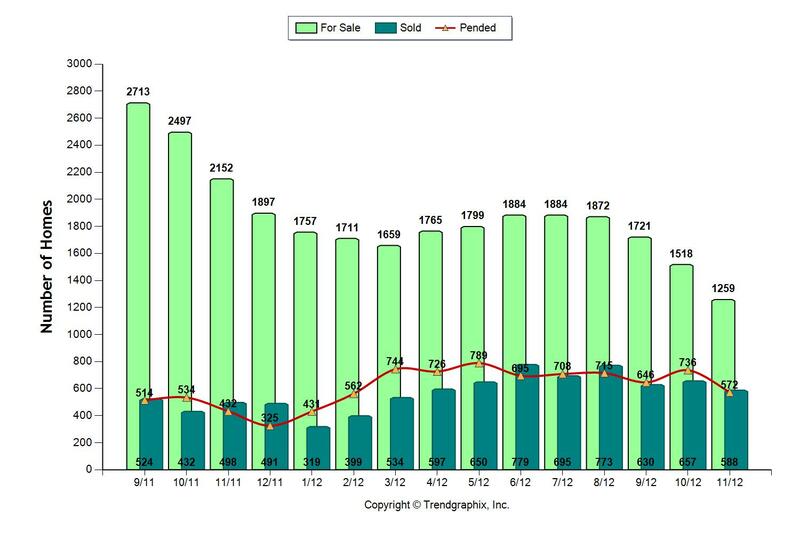 How did this past November's Seattle eastside real estate compare to November of 2011? Low inventory, strong sales, short market times, and increasing home values continued through November. According to the Seattle Times, November had the lowest number of homes on the market in any given month since 1999! Why are so few homes for sale? Some sellers are underwater, some are waiting for prices to go up, and some are just not ready to move. Given this situation, expect to see our great real estate market continue into next year. Our listings have been selling in a "heart beat," which is not surprising given the lack of inventory. We've listed 3 homes since the beginning of December and all have sold with multiple offers in 4 days or less and for over full price! Remember we said this holiday season is a great time to sell your home. 45% of the available homes sold this past November, 20% sold in November, 2011. Homes continued to sell quickly, in 66 days, which is down from 107 days in November, 2011. Last year median pricing in November was $469,000. This year, median pricing was $525,000. If you'd like more information specific to your home, don't hesitate to contact us. We'll do a wrapup of 2012 after the first of the year. Have a wonderful 2013.